Sr. Marie des Seraphins Fisher was born in France on December 29, 1882. After her profession she volunteered to be sent to Trinidad. A talented artist, especially in painting and lettering, she gave lessons to children, maintained the convent books and rendered countless services everywhere. In the early years of her missionary life, Sr. Marie became totally deaf and accepted this trial in a way that was a source of admiration to all. On November 6, 1949 she prepared the altar as usual for Mass the following day. It was to be her last day on earth. On November 7 at 11.00 a.m. Sr. Marie suffered a fatal heart attack. She was 67 years old, had been professed for 44 years and served for 41 years in Trinidad. Sr. Marie Manon was born in France in 1857. She had already reached the age of 50 when she volunteered to be sent to Trinidad. A well-educated person, Sr. Marie was assigned to the Holy Name Convent where she taught in the school. She was very much liked by students and parents alike as she had a very pleasant character. In the community the Sisters regarded her as their living encyclopedia and their peace lover.nSr. Marie Manon died at the Holy Name Convent on November 10, 1937. She was 80 years old, had been professed for 47 years and spent 30 years in Trinidad. Sr. Jeanne de St. Dominique Escoffier was born in France in 1858. After her Profession she offered to be sent to Trinidad to look after lepers in Chacachacare – a ministry she carried out for 15 years. Then one day she developed a skin infection which was wrongly diagnosed as hansenian disease and she was isolated from the other Sisters. For the next 13 years Sr. Jeanne was forced to live like a recluse. She was also deprived of daily Mass since it was celebrated at Saunder’s Bay and the Sisters had to travel there by boat. 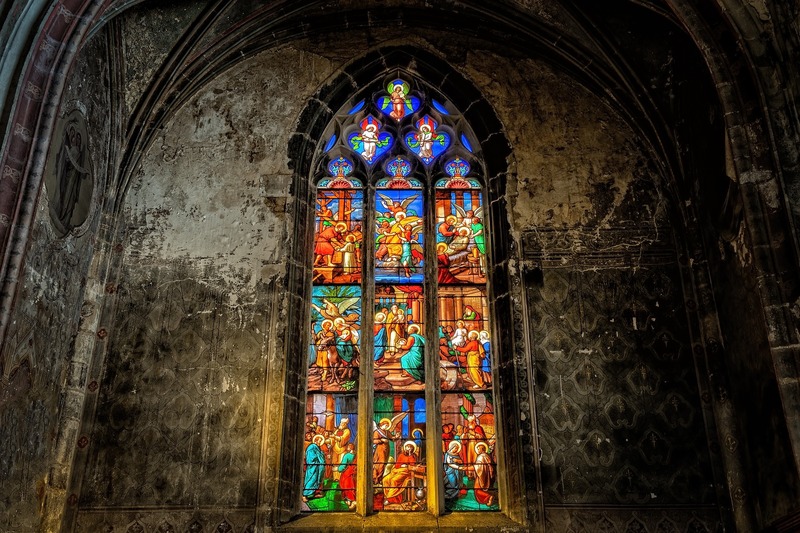 The ordeal was so cruel that one day she is reported to have said that “I would have preferred to lose my sight than to miss Mass a single day.” The years of isolation were spent in prayer and suffering offered all to Jesus. The medical doctor who had diagnosed her condition admitted years later that he had made a mistake. The skin disease was not leprosy. By this time Sr. Jeanne had begun to suffer from paralysis. She died on November 16, 1931 at the age of 74. She had been professed for 31 years and spent 28 years at Chacachacare. Sr. Jeanne de L’Immaculée Metendier was born in France in 1881. After her profession she offered to be sent to Trinidad where she was assigned to the Cocorite convent and given responsibility for the children’s ward at the leprosarium. After the transfer of the leprosarium to the island of Chacachacare in 1926, Sr. Jeanne continued to do the same work there. In 1950 when our Sisters withdrew from Chacachacare, she was assigned to the St. Dominic’s Convent in Belmont. It was there that she spent the last years of a most laborious life. She died on November 16, 1953 at the age of 72. She had been professed for 48 years, 45 of which were spent in Trinidad. Her life was a fine example of self-forgetfulness and admirable devotion to duty. Sr. Catherine Emmanuel von Weiller was born in Trinidad in 1858. She was a great friend of our Sisters in Cocorite. She finally entered religious life at the age of 51. Two years later she died at the Cocorite convent on November 19, 1911. She was 53 years old and had been professed for one year. Sr. Marie Sybilline Métendier was born in France in 1887 and was remembered for her charming simplicity and sense of hospitality. She came to Trinidad and was assigned to the Holy Name Convent. There she worked, at first, at the Training Centre and then, due to ill health, stayed in the convent itself answering the door bell and welcoming visitors. Finally, she returned to France and was assigned to the Chaudron convent where she died on November 20, 1970. She was 83 years old, had been professed for 55 years and spent 30 years in Trinidad. Sr. Marie Henri Reverdy was born in France on August 13, 1843. The young Stephane, an artist, entered our Congregation on October 2, 1868 and was assigned to the Charpennes convent. After the 1869 tragedy in Trinidad when, within two months, nine Sisters out of 15, in Cocorite died of yellow fever, Sr. Marie Henri offered herself to be sent to Cocorite. She arrived in October 1871. However, her health was poor and the hardships of the place took their toll. She died on November 20, 1873 at the age of 30. She had been professed for five (5) years. Sr. Marie Ceslaus Wingens was born in Belgium in 1836. With her sister, named Cecilia, she entered our convent in Terbanck. From there she volunteered to come to Trinidad and arrived in Cocorite in 1869. Unfortunately it was the year of the terrible yellow fever epidemic. She contracted the disease but survived though she remained weak. Sr. Marie Ceslaus stayed in Trinidad up to the year 1884. She spent the last years of her life in the Etrépagny convent where she died on November 22, 1897. She was 61 years of age, professed for 32 years and served for 15 years in Trinidad. Sr. Jeanne d’Arc George was born in France in 1873. She offered to be sent to Trinidad and was assigned to the Holy Name Convent. She arrived there in 1898 and gave 19 years of devoted service in Trinidad. She died on November 23, 1917 at the age of 44. She had been professed for 23 years. Sr. Marie de St. Ignace Bonvoisin was born in France on May 2, 1896. Together with her sibling Thérèse, she entered the novitiate in Etrépagny. However, her sister returned home to look after their aged parents and Madeleine (Sr. Marie de St. Ignace) made her Profession in 1927. After making her Perpetual Profession, Sr. Marie was sent to Trinidad to the St. Dominic’s Convent in Belmont where she worked in the area of education with the children of the Home. Sr. Marie went to France for some rest and on her return to Trinidad she was assigned to the Holy Name Convent where she was responsible for the aged and sick Sisters. Sr. Marie was also one of the Sisters who made the foundation of Raizet in Guadeloupe. Finally, after her return to France she was assigned to the convent of Levallois. As her health deteriorated with the passing of years, Sr. Marie was sent to the convent of Chaudron. There she had the great joy of meeting once more her sister Thérèse who entered our Congregation after the death of her parents. Marie died a few months after her sister Thérèse on November 24, 1985 at the age of 89. She had been professed for 58 years and spent 30 years in Trinidad. Sr. Madeleine Bonbon was born in France in 1871. After her Profession she offered to be sent to Trinidad and was assigned to the St. Dominic’s Convent in Belmont. It was among the little orphans that she was going to spend 42 years of her life. 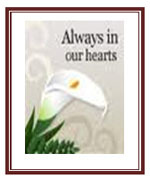 Sr. Madeleine used to see God in all things and lived a simple and devoted life caring for the children with much love. One night, while on duty in a children’s dormitory, she was struck with a cerebral haemorrhage and died on November 28, 1934. Sr. Madeleine was 63 years old and had been professed for 42 years – all of which were spent in Trinidad.